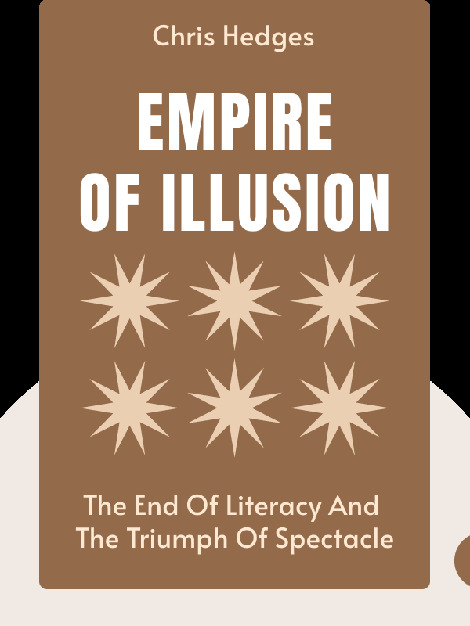 Empire of Illusion (2010) offers a close examination of declining literacy levels in the United States, and the disastrous effects that this educational catastrophe is having on the country. These blinks will explain how TV is pacifying the US citizenry, how corporate power has taken over the country and what this means for the future. 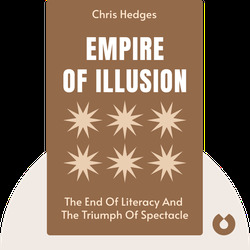 Chris Hedges is an American journalist. He has worked for The New York Times as a foreign correspondent in Central America, the Middle East, Africa and the Balkans, and is also the author of the best-selling books War is a Force That Gives Us Meaning and Death of the Liberal Class.